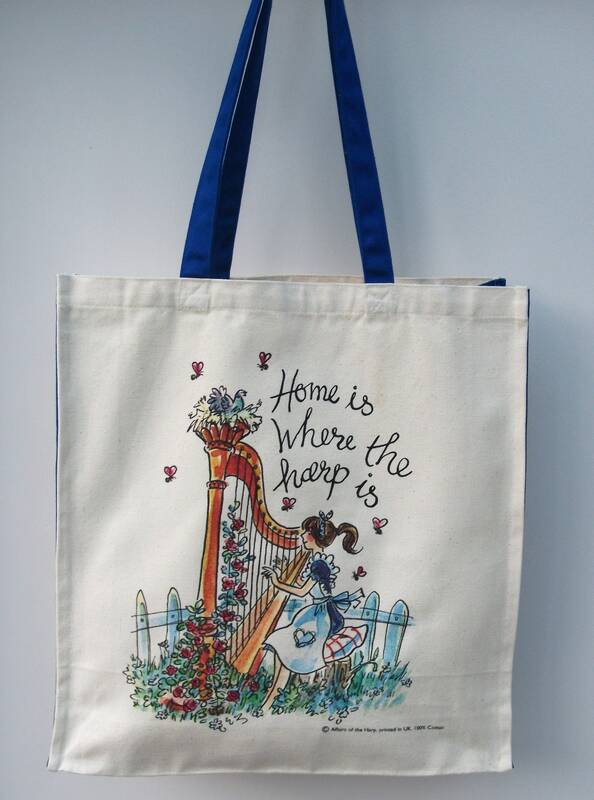 Here is a fabulous tote bag featuring unique art work specially commissioned by A Stitch in Tune/Affairs of the Harp from an award winning British artist. 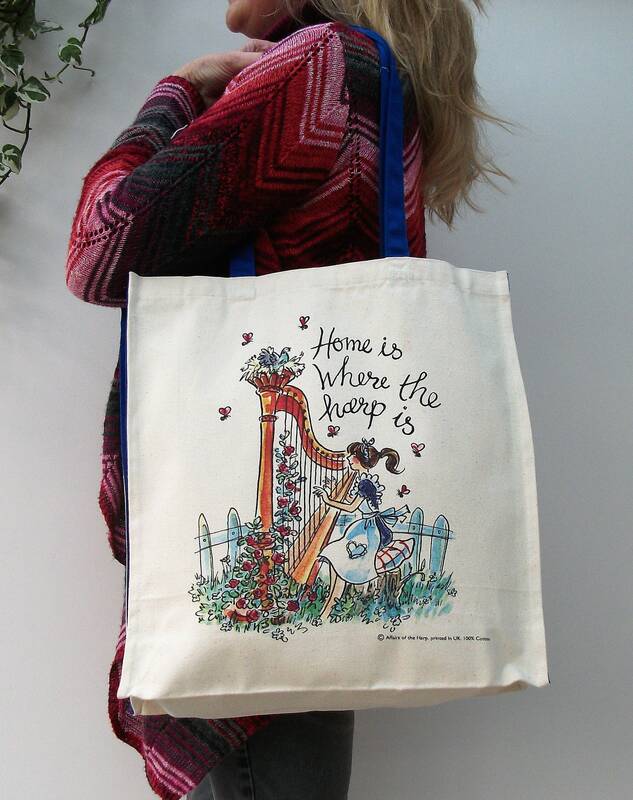 Made in England the bag is made from strong canvas fabric with canvas handles. 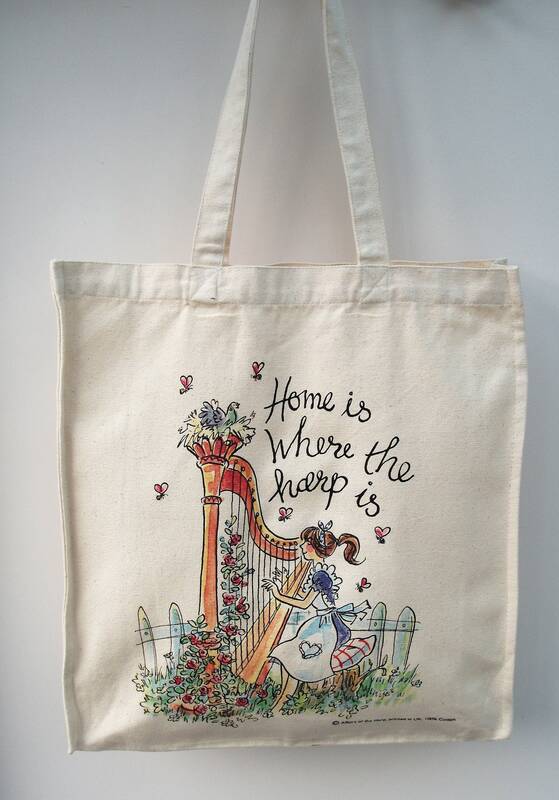 The design on the front has a cute harpist playing her harp against a background of roses and greenery with doves nesting on the top and bees buzzing happily around. 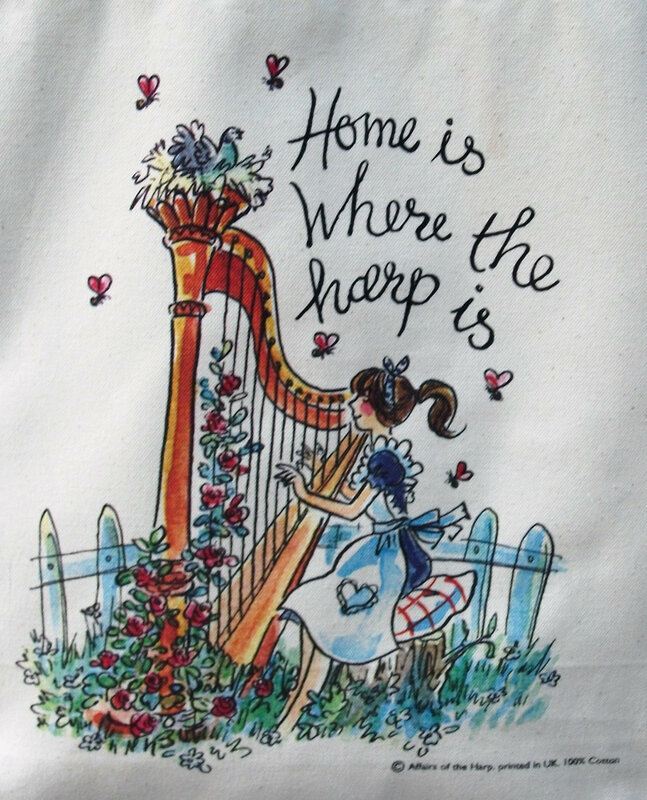 "Home is where the Harp is" will delight any harpist or indeed any music lover who loves harp music ! 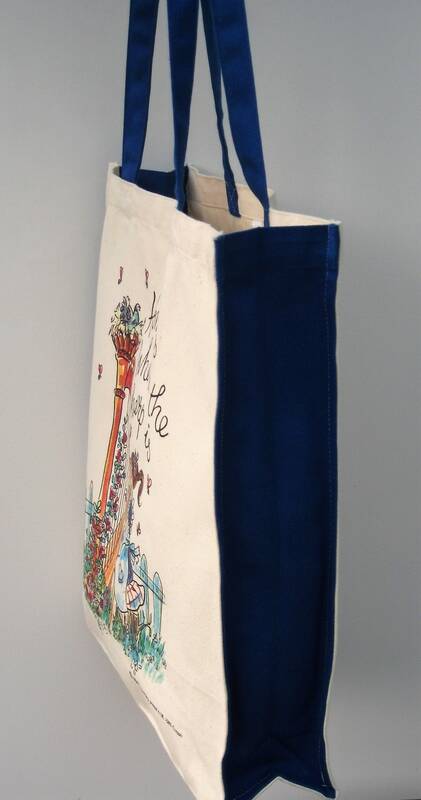 The bag comes with long white handles and gusset or long blue handles and a blue gusset or with short white handles. Please choose preference at checkout. 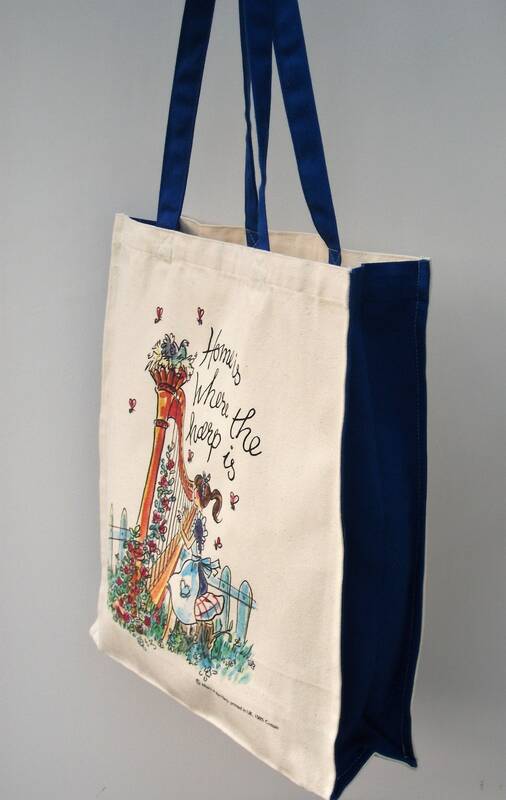 This is a really strong and robust bag that can be used as a music bag, a book bag, a market bag or even a project bag. 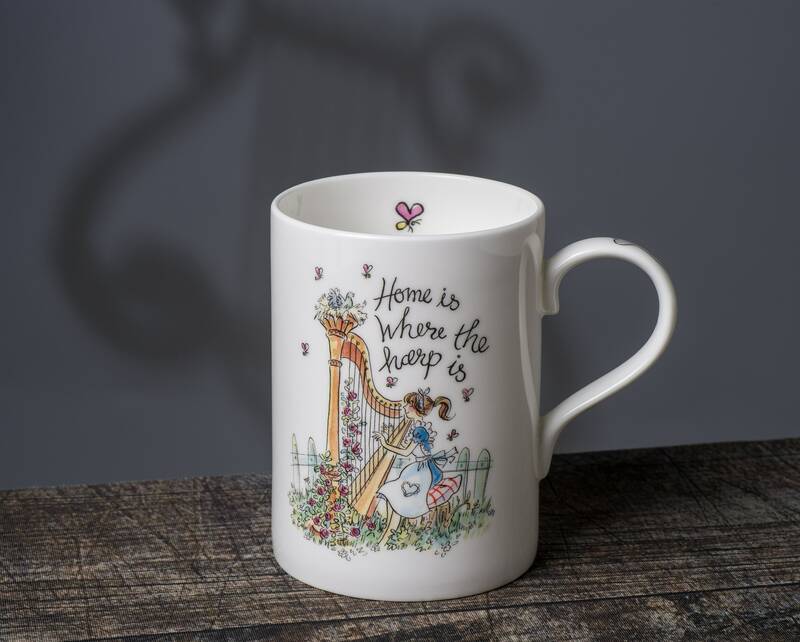 For that special gift or occasion why not match it with a "Home is where the Harp is " bone china mug or a matching tea towel? 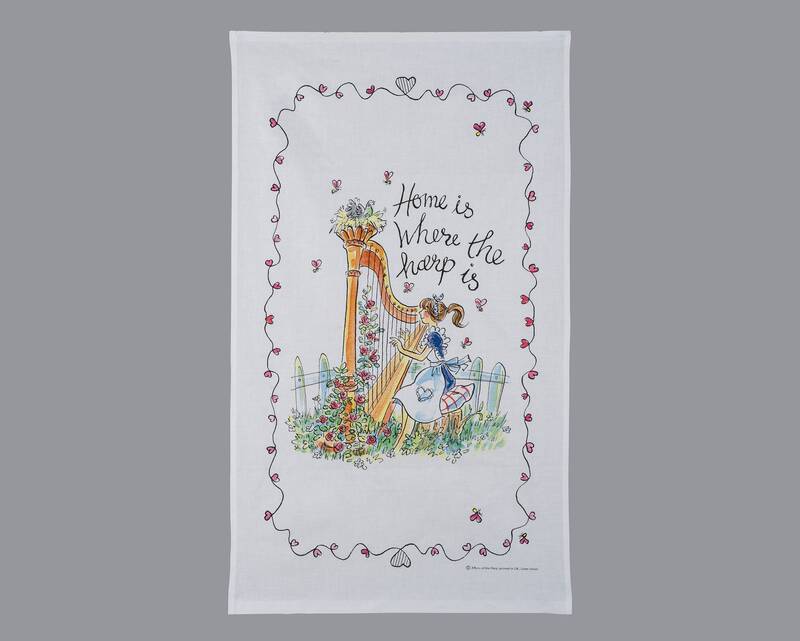 Depth 4.5 inches /12 cms.